Fashion Show Extraveganza!!!! 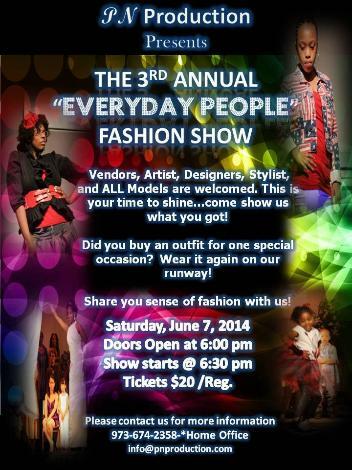 Where everyday people doing great things come and rock the runway. Some rock designer looks and some rock their own look. At any rate...the runway is rocked. Come join us making PN Production a non-profit organization that will expose our youth to cultural and educational events as well as provide annual scholarships. You can make a difference the question is, will you? Do so by purchasing a ticket or making a donation. See you there.